If your business in Alliston is in need of a commercial roofing job, contact us at Slippery Slope Roofing. All things deteriorate over time, whether due to wear and tear or sudden unforeseen circumstances that cause immediate, sometimes irreparable damage. This is even true when it comes to the roof of your commercial building. While residential buildings are generally much smaller than commercial, the fact is that when either building has a damaged roof, leaving it alone to “heal” itself can lead to delays and costly damage. That’s why it is important that you get the roof fixed as soon as you notice you have a problem. 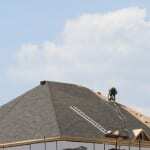 If your business in Alliston, Ontario is in need of a commercial roofing job, contact us at Slippery Slope Roofing. When you contact us at Slippery Slope Roofing for your commercial roofing needs in Alliston, you can be confident that we will complete the task properly, according to specifications set by the manufacturers. We do this to ensure that the work will be covered by warranties that are set by the manufacturer. We are confident in our ability to provide you with quality work. Our business is fully insured with WSIB, and we are accredited by the Better Business Bureau. Our prices are competitive, which means you and your pocketbook will both be pleased with the cost of completing the job correctly. As part of our commitment to customer service, we promise to keep our worksite clean. We also know that your time is valuable, and time taken away from your business leads to decreased productivity for you. This is why we will offer you our full attention throughout the duration of your commercial roofing job. We will work solely on your job in order to get it done properly, quickly and thoroughly, so life can return to normal for you as soon as possible. When you need commercial roofing in Alliston, contact us.